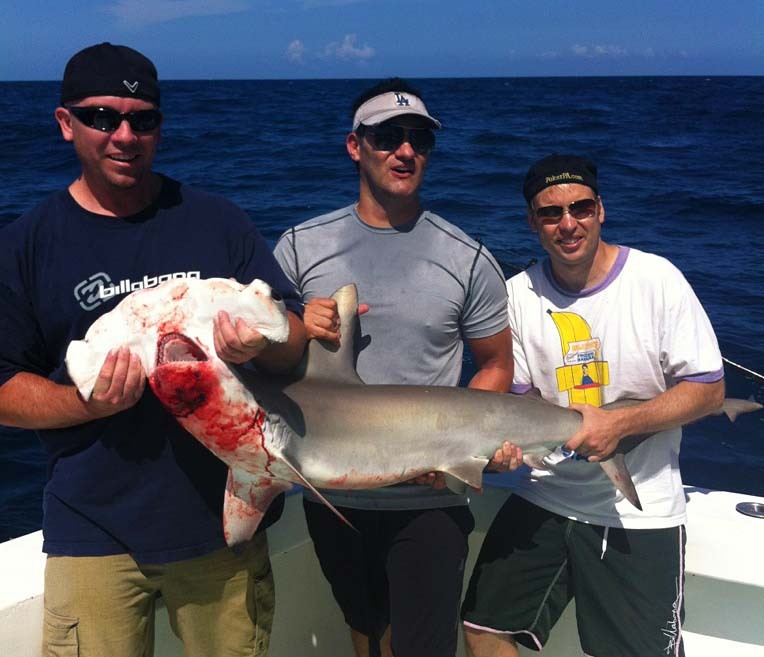 Summer Shark Fishing Charters see some great action. 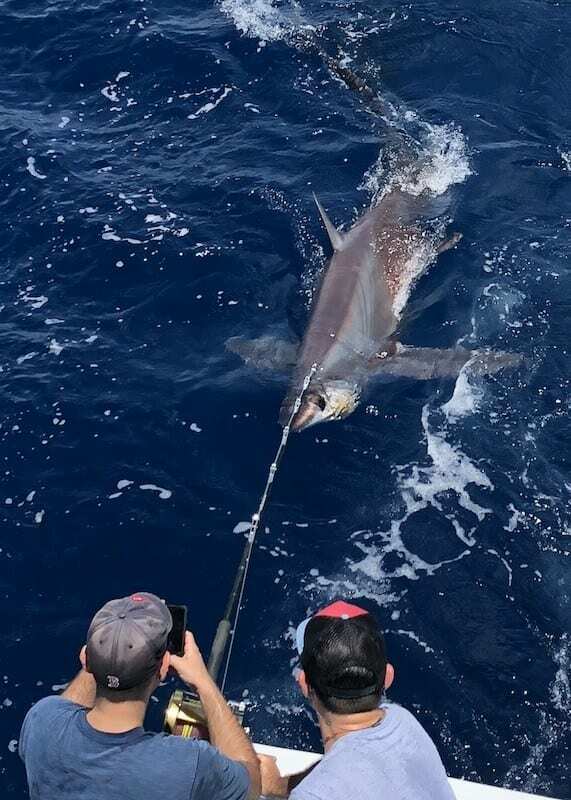 It the Summer we some of the Miami Summer Shark Fishing Charters – Thresher Sharkmore unusual Sharks that migrate through our area. The waters to the south of us warm up as the relentless summer sweltering heat radiates the oceans surface. Some larger pelagic migratory sharks will move through the off shore waters of Miami and Miami Beach. Sharks such as Bull Sharks, Big Eye Thresher Sharks, Cuban Night Sharks, Tiger Sharks and others will seek cooler waters and work their way North. One of the more exiting and rare Sharks that we may see and or catch from time to time is the Big Eye Thresher Shark.These Thresher Sharks are typically found in the very deep ocean. The first one that I caught was hooked on the bottom in 2,050 foot of water. We were targeting giant Wreck Fish, a type of deep water grouper. The late spring and summer we get opportunities to catch these amazing fish in water as shallow as 400 feet. 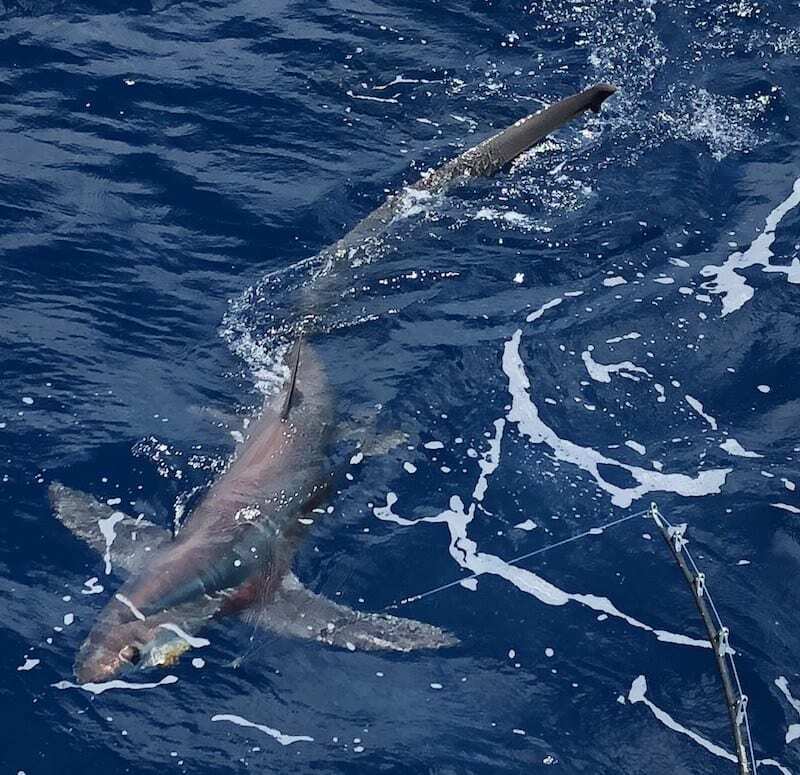 Summer shark fishing is an exiting charter to choose. We target these amazing sharks by fishing two of our baits deep in the water column. As the surface temperatures heat up, the water deep in the water column are much cooler. We will fish one bait just above the sea floor. As well as a second about one hundred feet up from the bottom. This “mid” bait is the secret weapon. We fish a long leader and separate the bait from the lead weight by almost 100 feet. We suspend the bait in the water column using a floating jug or bullet buoy. We will fish a short cable leader attached to a single 20/0 circle hook. The single circle hook is very effective. The sharks are able to swallow the bait whole as they do naturally. Once we come tight the circle hook will pull back out of the sharks throat and find the corner of the sharks mouth. 90 percent of our hookups are in the corner of the jaw. this creates a situation where the smallest amount of harm is done to the shark. It aids in a quick and easy release offering the best survival chances for the shark.